Last night as I sat pulling my hair out because my neighbours were having one of those parties where the music was so loud you could actually feel it, I was looking for some distraction. I was unable to do the study I had planned to do because the music was making it impossible to concentrate, in fact it was making it impossible to do just about anything. I decided to stop stressing about it and just try to work with it ... Music? I KNOW ... ROCKWIZ IS ON TV!!! I grabbed myself a glass of wine, some cheese and crackers and "The Gang" and I joined Ms Murphy and Continental Robert to have some fun! 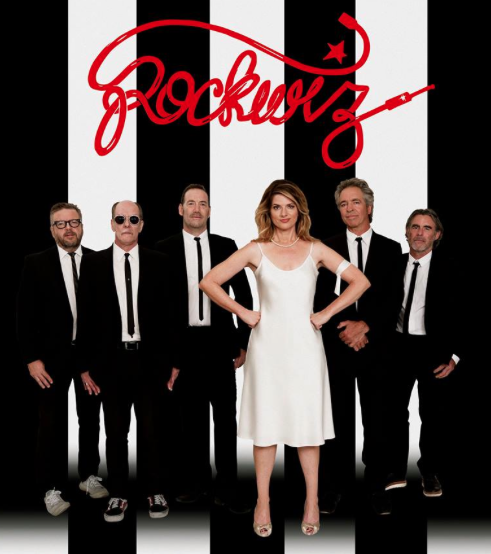 I'm so grateful for good entertainment on TV - Go Rockwiz!